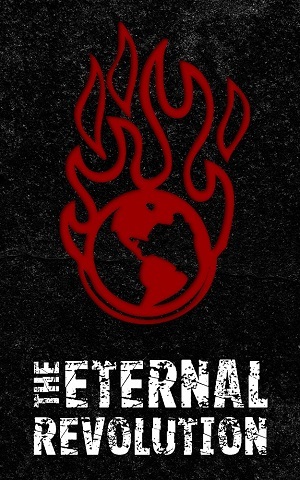 The Eternal Revolution is now available on Amazon.com. And to celebrate, for today and tomorrow, the book is free for the Kindle! Get your copy of The Eternal Revolution today! Remember, even if you don’t have a Kindle, the software for Kindle is free for iOS, PC, Mac, and Android. Please tell anyone you know who might be interested. When you get a chance, please write a review on Amazon or or on Goodreads for the book. I expect to have the traditional, physical copy in July, after layout and printing are completed. This is a “soft launch” – I won’t begin promoting the book until the physical edition is ready. Having the book go free for a couple days helps it not get lost in the sea of products on Amazon, and if I am going to give it away for a limited time, I’d like to make sure those of you who are following the blog are the first to get in on it. Besides, I’m confident that you will want to share the book with others, and your recommendation will be worth much more than just asking you for a few dollars now. So don’t delay: Get your copy, read it, and tell everyone you know!